Qigong is a “mindfulness” practice to bring balance to the practitioner’s body, mind, and spirit. In short, “Qi” means “energy,” and “gong” means “cultivation.” Thus, Qigong is the practice of cultivating energy for your health and longevity. The endeavor of Qigong is to realize inner peace and happiness within oneself by cultivating spiritual energy, which will open many doors in your journey towards peace, longevity, and happiness. Beginners Qigong classes are for those who are new to Qigong or have some experience in it but don’t have a steady practice yet. 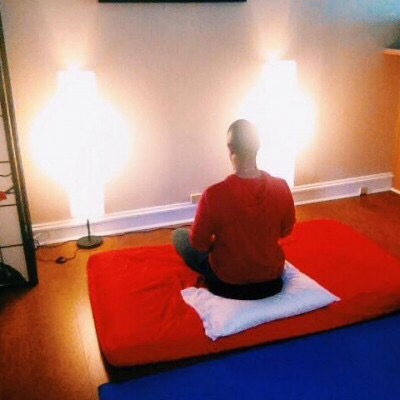 These classes involve sitting and standing meditations, as well as breathing techniques, movements, and internal visualizations of healing images. These practices are for emotional/spiritual growth, as well as for physical health and longevity. Long-term practice can provide relief for stress, anxiety, depression, and PTSD. *Beginners Qigong may be incorporated with Acupuncture/Energy Healing treatments at the request of each client. Advanced Qigong classes are for healers of various modalities such as massage therapists and energy workers. These classes are designed to help the practitioner build internal energy and to be more sensitive to their clients’ energies in order to provide the most for their clients. Also covered are techniques in order to protect the practitioner from the negative energies (or “sick Qi”) from their clients or from others in general. These classes involve sitting and standing meditations, but primarily focused on “Gift of the Tao” Qigong movements from the Stillness-Movement / Jing Dong Gong lineage. Request a private or group Qigong class with Sonny! If you or a group of friends (up to five) are interested in taking a Qigong class with Sonny, you may request a class. Each class is for 50 minutes, and you will learn either the beginners or advanced styles, depending on your request. Once your request is received, time and date of class can be coordinated.